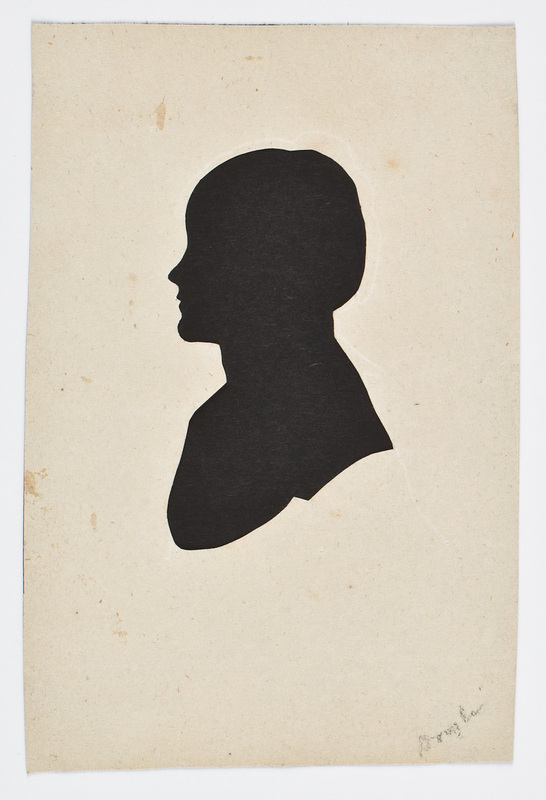 The popularity of silhouettes in the 18th and 19th centuries wasn’t only due to them being an affordable form of portraiture before the era of photography, the art also fit with popular pseudosciences like phrenology. The belief that the shape of a person’s head revealed their temperament and intelligence could be easily applied to the shadows captured in the profiles. 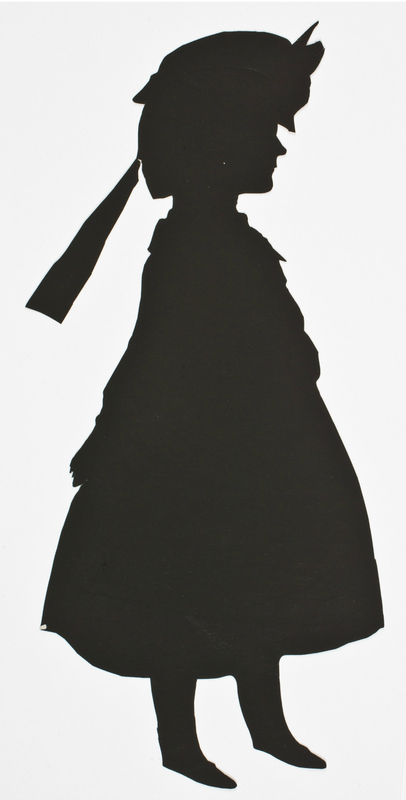 Silhouettes were popular in the United States starting at the end of the eighteenth century. 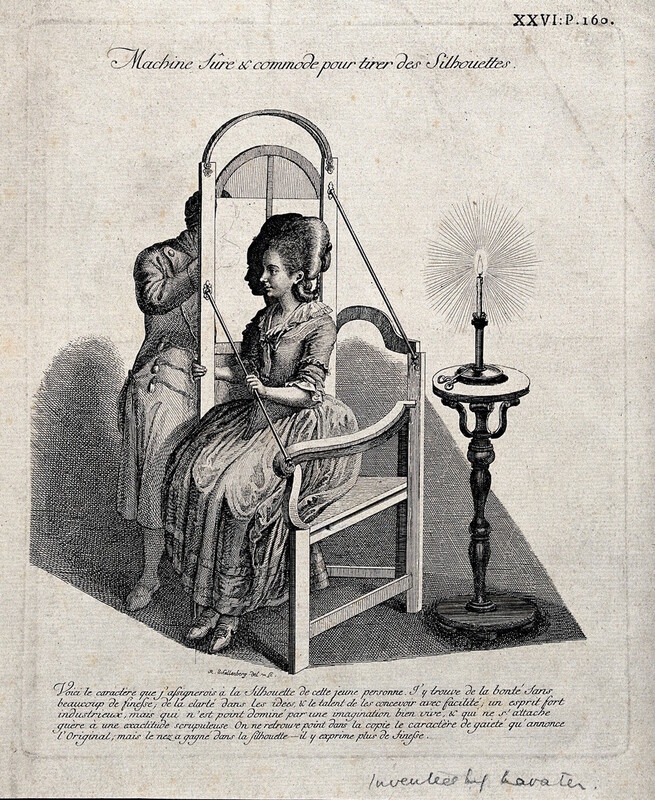 Profile drawings, profile miniatures, and silhouettes all benefited from the rise of the pseudo-sciences physiognomy and phrenology, which stated that head shape, profile, and facial features revealed basic elements of personality. The Swiss author Johann Kaspar Lavater issued a comprehensive, and widely read, multi-volume set of Essays on Physiognomy for the Promotion of the Knowledge and the Love of Mankind, which went through multiple editions in the United States between its release in 1775 and 1850. 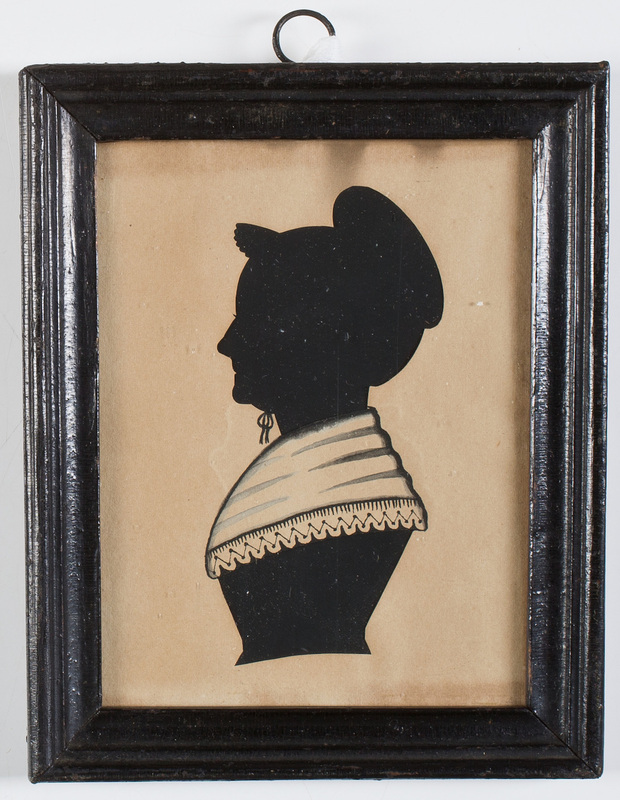 The market for silhouettes was robust in America right through the nineteenth century and continues in New England today. 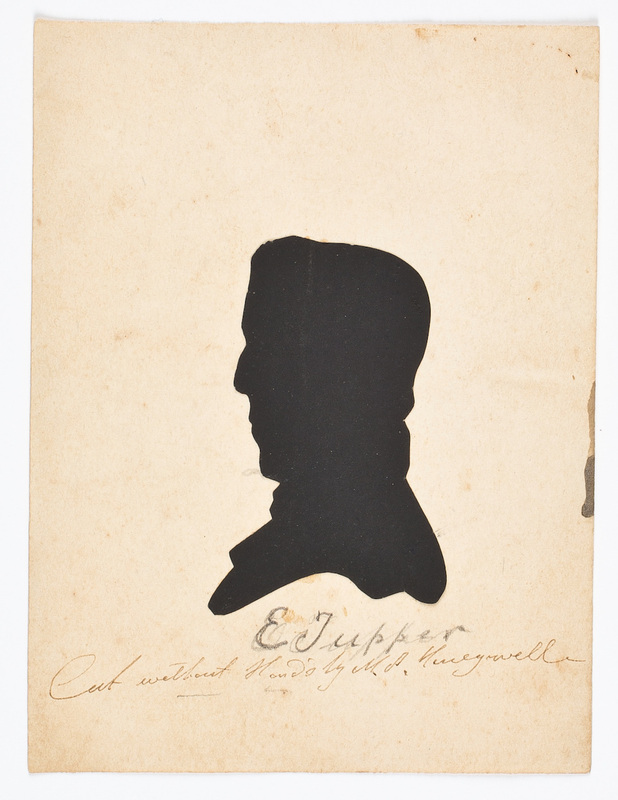 AAS, a national research library focused on US history and culture based in Worcester, Massachusetts, recently launched an online resource on the silhouettes in their portrait collection. Hewes notes that Silhouettes: An Illustrated Inventory is their second online graphic collection, following a set of over 50 photographs from the Tuskegee Institute in Alabama dating from 1890 to 1915, when Booker T. Washington was president. 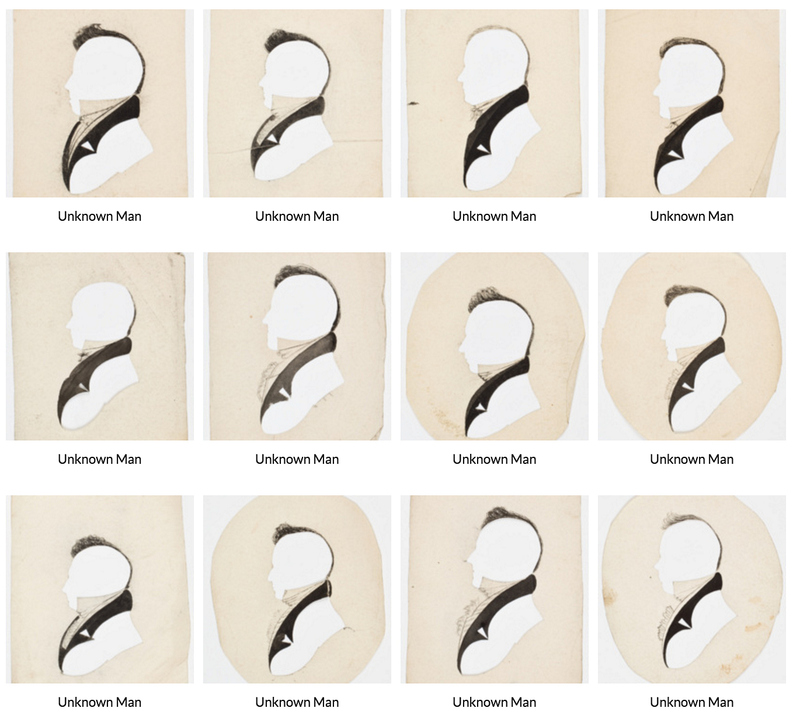 Users can search through by subject tags and artist names, such as Moses Williams, a former slave who cut “perfect shadows” at the Peale Museum in Philadelphia, and William Chamberlain, who wandered all over New England in the 1820s clipping shapes of faces on the way. […] the correctness of his Profiles is so well known, he presumes that those who want will not neglect the opportunity, the Ladies are particularly informed that he takes their Profiles without their faces being scraped with the machine, or their being ‘under the disagreeable necessity of retiring into a dark room’ or having the shadow varied by the flare of a candle, as he makes use of neither. 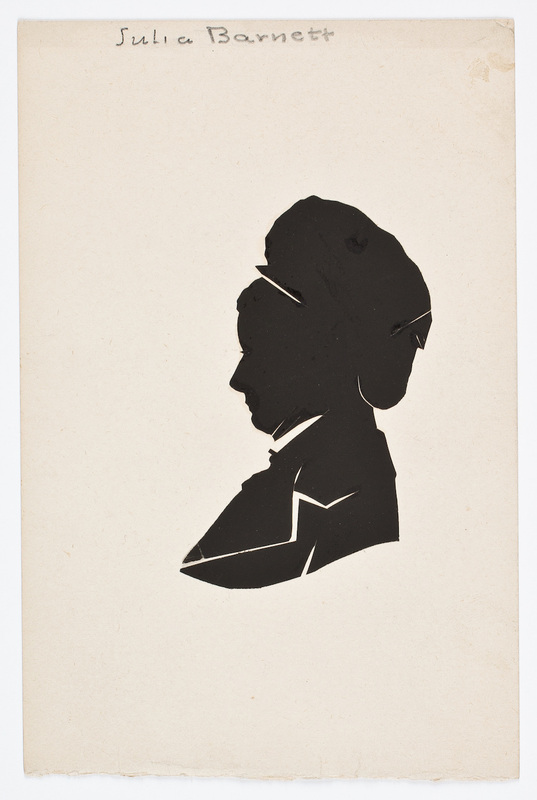 When photography emerged on the scene, the silhouette became a niche art. You can explore over 200 examples from the silhouette’s peak on the AAS portal, many anonymous, some famous — like Thomas Edison — all examples of this once popular tradition of portraiture. 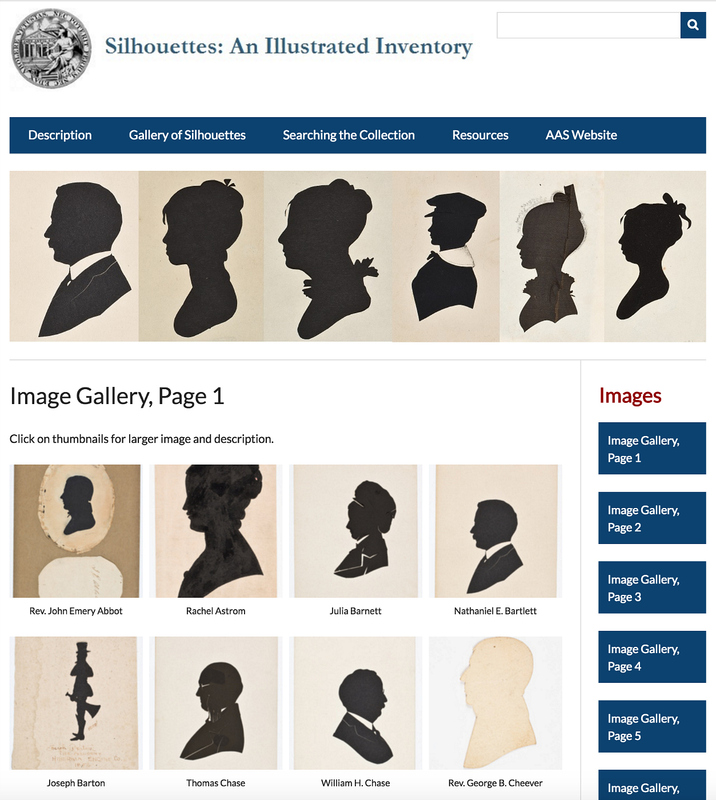 Silhouettes: An Illustrated Inventory is explorable online through the American Antiquarian Society.